September | 2014 | RAW GODDESS, INC.
Posted on September 23, 2014 by RawGoddessInc. The season begins with a new moon in Virgo! This will be perfect for cleaning up and clearing out! In 13 sign astrology, we know that Virgo is the longest constellation and spans about 44 degrees! This detail oriented and super intricate sign represents the digestive system and all its sensitivity. The colon is the longest part of the body and is a group of nerves having its own intelligence! Hence the phrase, Gut Feelings! Virgo is an earth sign. The mental earth sign. The purity of the Mind and its intentions. Heaven and Earth are One. It was revealed to me in more ways than one that Virgo represents Ma’at the Matrix Mother. The virtue of the Goddess and her principals. Ma’at is here to remind us of Universal Truth. Everything is connected and works together to create the whole. 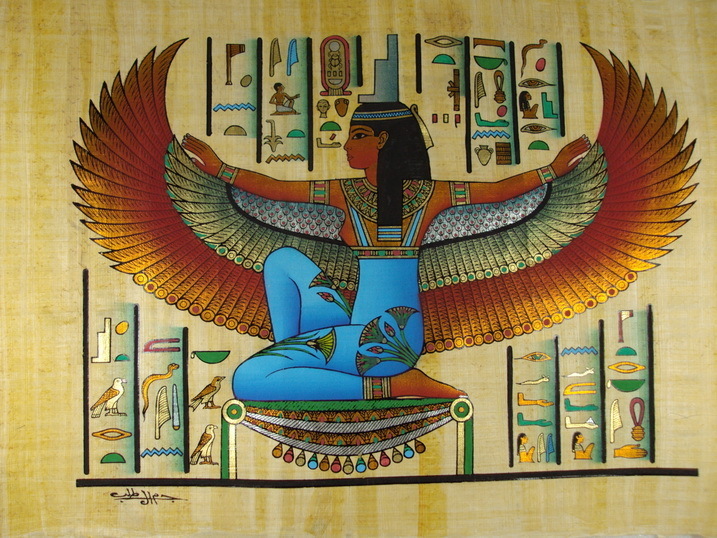 Ma’at is the Goddess of Universal Order and Virtue. Virgo is the sign of organization, purity and virtue. The earth is a living breathing organism and we are All part of it. Ma’at keeps everything moving, balanced in the sky and on Earth! See all the similarities? The equinox is the balance of seasons in relation to Heaven and Earth. Mind and Body. Remember this as you dig through your own psyche and choose what to let go of and what to help grow. The Virgo earth has a dual function. It gives life and also buries the dead. Also remember all disease starts in the mind and in the colon. This is the month to work on both ends. There will be another Mercury Retrograde starting up in about a week and a few days later a total eclipse! Working with a cleansing routine will help us all get through it. Explore various mind body activities you feel will be beneficial such as yoga and meditation. Really work on your raw juice and food intake. Enzymes are the key to life! Virgos tend to worry, so counter this added restlessness with writing and listening to healing music. You may need more sleep and exercise to feel your best. Peppermint and chamomile tea always calm my nerves. Herbal cleansing and positive affirmations are words to live by for Virgo season. Always remember you are healthy and whole just as you are. Virgo is a symbol of the womban. The Perfection and Completion of the Goddess. 13. Honor the women in your life. The sacrifice and serving nature in all of us will need to be balanced with the equinox, new moon, lunar eclipse and mercury retrograde all happening while the sun is in Virgo! The full moon lunar eclipse will be in the opposite sign of Pisces on October 7th/8th bringing in an air of compassion. This will also bring on a lot of tears. You may be feeling the effects of the eclipse already as I am. A major eclipse in Pisces spells a great need for meditation and so I think that will be the main solution for anyone having issues this month. Virgo new Moon is the best time to organize your Mind Body connection! Happy New Moon! * This New Moon in Virgo cycle will last 2 weeks until the Full Moon Lunar Eclipse in Pisces. If you would like to know more about this alignment and how it relates to your 13 sign birth chart please complete the form below, thank you. Posted on September 16, 2014 by RawGoddessInc. Pendulum magic is a very ancient and fundamental practice. Scientific research also proves that pendulums respond to electromagnetic energy radiating from everything on Earth! 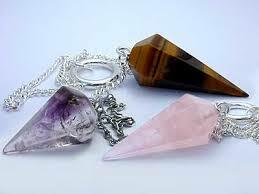 Pendulums pick up on the subtle, intuitive, electromagnetic field that is inherent in all things. Energy waves are constantly being emitted by people, places, thoughts, and objects. Divining with pendulums is a sure method of connecting with a higher power in order to obtain information from a divine source. Working with your higher self and your guides, pendulums send and receive vibrational frequency information. A pendulum is a tool to be used like an antenna, it will detect and also effect. All things affect all things. Thanks for reading! Let us know how much you like using pendulums! Posted on September 15, 2014 by RawGoddessInc. Electromagnetic therapy dates back many centuries. In the Middle Ages, magnets were used to treat gout, arthritis, poisoning and baldness. 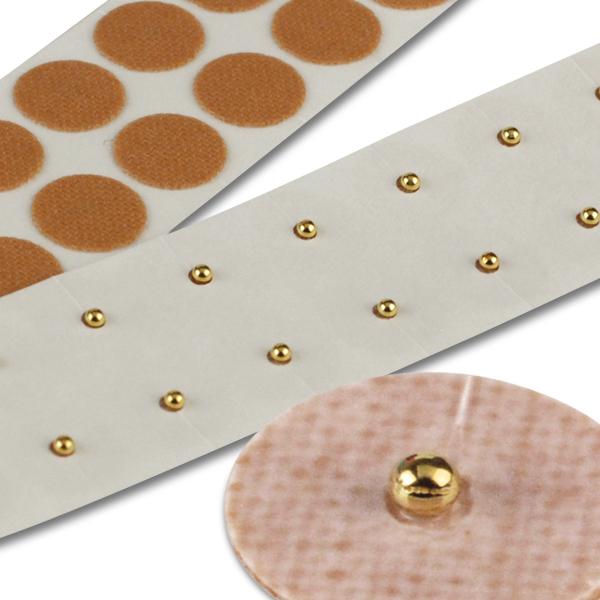 Today magnet therapy is widely used in the U.S., Europe, Japan and China. Magnets work on the subtle electric body to create blood flow and erase chronic pain. By attracting iron particles in the blood, magnetic therapy stimulates metabolism, increases oxygen available to cells, creating a less acidic environment within the body. In magnetic therapy, it’s the negative pole of the magnet that has the healing powers. A lot like how negative ions in the water clear and charge the aura and body. Many alternative cancer treatments include magnet therapy to halt or reverse the spread of tumors! Negative magnetic fields speed the healing of cuts, broken bones and infections. The effects of toxic chemicals, addictive drugs and other harmful substances are lessened using magnetic healing! Thin metal magnets are placed on or near the skin, alone or in groups. Magnetic therapy is known to strengthen the body’s healing ability, relieving pain and treating disease naturally. You can use magnets to heal headaches, migraines, arthritis, stress, broken bones, cure cancer, improve circulation, reverse degenerative diseases and also infertility! Healing with magnets is generally safe. But because it alters nerve impulses, do not wear magnets on your head overnight. People with pacemakers, defibrillators or infusion pumps should not use magnet therapy because of the added electric charge. Magnets can be found in different forms and strengths. There are bracelets, necklaces, blankets, insoles, seat covers, bands that wrap around the wrists, knee, ankle, foot, and waist! They can also be applied with adhesives and may be worn for just a few minutes or for weeks depending on the condition. You can find gold plated magnets at www.dhealthstore.com in various magnitudes! *Dhealthstore.com offers 800 gauss, 1,000 gauss, 6,000 gauss, 9,000,and 12,000 gauss gold- plated magnets in quantities of 2. Each magnet comes with an adhesive sticker which allows the magnet to stick to your skin. However, you’ll need to purchase additional adhesives for when the adhesives lose their adhesion. *A magnet (any gauss strength) worn over the Pineal gland (site of the 6th Chakra, Ajna in Sanskrit, a/k/a The 3rd Eye) helps to stimulate it. If there is calcification of the Pineal gland, a magnet worn on this site for 4-6 hours per day (never at night) will help to decalcify the Pineal gland. Stimulation of the Pineal gland will enhance the dream state as well as the attributes of the 6th Chakra, facilitating clairvoyance, clairaudience, clairsentience, intuition, visions, ESP, telepathy, etc. Posted on September 8, 2014 by RawGoddessInc. On this Full Moon in Aquarius night, I wanted to take the time out and synchronize the awareness of a very ancient and mystical way of healing. The art of making and taking gemstone elixirs and flower essences along with gold, silver and other trace minerals has a very long and powerful history. Crystals, minerals, flowers, water, humans and animals all are carrying vibrating particles of light! Our thoughts, feelings, attitudes, choices and experiences also hold frequencies and vibrations. Stress, change, and intense situations can disrupt our energy and ultimately our DNA. Blockages can bring on mental, physical, emotional and spiritual illnesses. Crystal elixirs are comprised of liquid light! Our pineal gland, the seat of the soul, responds very well to them because it is also a crystal! Due to industrialization and environmental enslavement, we aren’t able to get the necessary light codes and fully charge up from bottled city water and food. Crystal elixirs are gonna be necessary for spiritual survival and balance in the very near future! Your chakra auric system is a battery that magnetizes energy and experiences to you. Crystal elixirs build a bridge to the things you wish to attract, along with the necessary positive intentions of course. 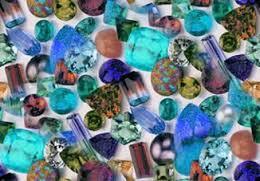 There are many different types of crystals, minerals, flowers and gemstones available. Crystal elixirs are frequently used when contacting the higher self, guardian angels, and the ascended masters. These vibrational essences can put you in direct alignment with that which you seek. The ancient Chinese used jade, cinnabar, and hematite elixirs for longevity. You can make your own healing crystal elixirs safely using 2 glass bowls and purified water, preferably alkaline if you wish to drink it. Posted on September 7, 2014 by RawGoddessInc. Welcome to the Aquarius freedom loving Full Moon cycle! It’s all about you being you, and sharing your spiritual talents with humanity. 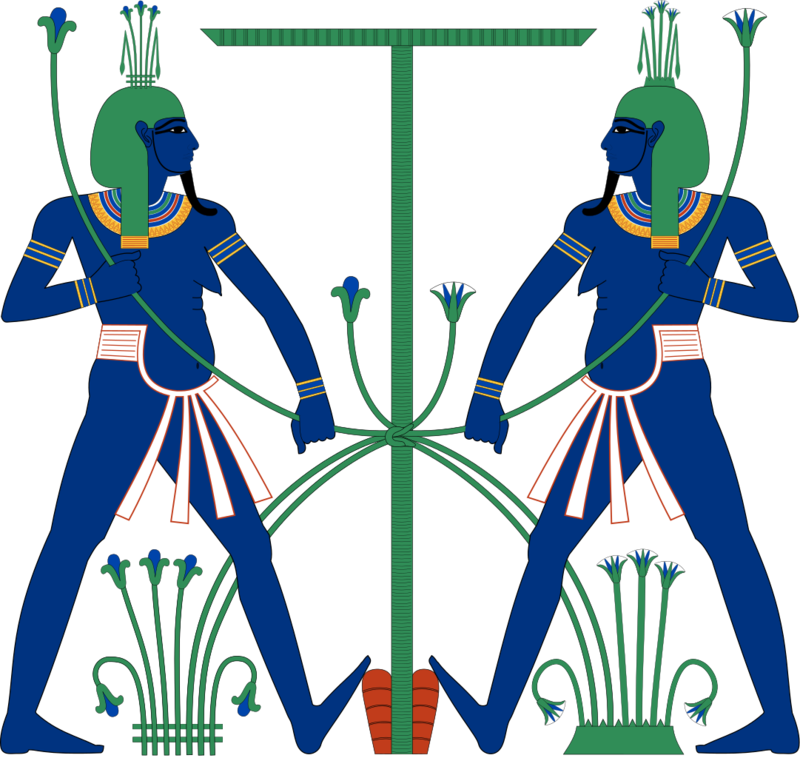 Aquarius, in ancient Egypt, is known as Hapi the God of the annual flooding of the Nile. Hapi is a fertility God and is considered to be the ‘Father of the Gods’. He was loving, caring and about peace. Hapi has breasts and a protruding belly to represent the fertility of the Nile. He is androgynous and here to remind us that We are all One. His priests were responsible for measuring and predicting the water levels of the Nile. Something so many different life forms depended on. Water. For this reason Aquarius represents our scientific, higher mind and collective consciousness. Channels. Currency. Frequency and Air Waves. The Universal Mind. The water, that which unites us and aligns our intentions through waves of consciousness. At times, it can be electric and shocking! Massive social changes and events are happening to teach us how to evolve further. Everything is connected and we must learn how to adapt to current world affairs. For the next 2 weeks, look out for a few surprises in the world of human and civil laws and rights. Protests and movements are on the horizon. Hopefully we are moving in the direction of better understanding. Also prepare for utter chaos. Aquarius is the sign of unpredictability and things can go either way. Expect the unexpected and a few social upheavals to follow. To keep things calm visualize, focus, meditate only on positive intent. Aquarius is a mental air sign with water emotional abilities. Steer your mind and your emotions will follow. Cultivate your unique spiritual gifts and share them with the group. Aquarius is the sign of the unique individual and the social activist. Learn how best to balance your alone time and time with the community. It’s time for a change. Aquarius is the sign of experimentation and invention. Always remember you create your reality. If there is something you wish to improve, now is the time. Aquarius teaches us that using intuition, knowledge and metaphysical law we bring our inner world to life. Everything is energy, vibrations, harmonics, light and sound first. Aquarius also represents the ancestors and the origins of humans as light beings or aliens. The Annunaki. Don’t be afraid to expand your awareness. Pour libations and talk to your spirit guides. This is also a great time to do a series of spiritual baths and fasts for better circulation. This is a full moon highlighting our metaphysical skills! Astrology, reiki, lucid dreaming, yoga and all forms of healing are on the rise! Network to find the spiritual enlightenment you wish to seek. Celebrate your unique abilities and be thankful for your community as a whole. Now is a good time to upgrade your survival skills, gadgets and equipment. Also it’s always a good idea to stock up on water. Like the lotus flower, be in the world but not of it. * To facilitate the ascension process and astral traveling/projection, check out a whole world of spiritual health products at http://www.dhealthstore.com One of my favorites is the Magical Alchemical Elixir! * This Full Moon in Aquarius cycle will last 2 weeks until the New Moon in Virgo. If you would like to know more about this alignment and how it relates to your 13 sign birth chart please complete the form below, thank you.